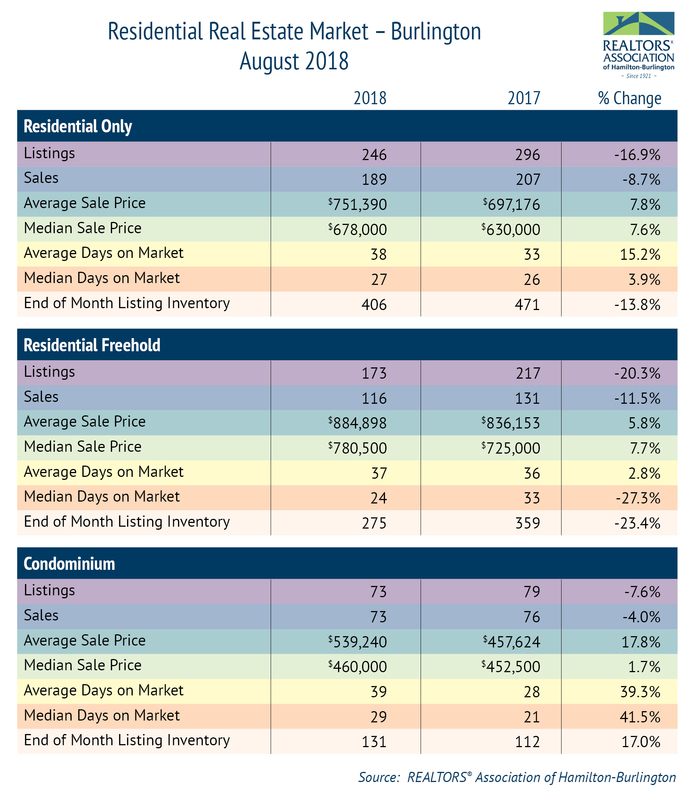 The REALTORS® Association of Hamilton-Burlington (RAHB) reported 1,089 residential sales were processed through the RAHB Multiple Listing Service® (MLS®) System in August, 2018, less than one percent more than the same month last year and 2.9 per cent fewer than the 10-year average for the month. 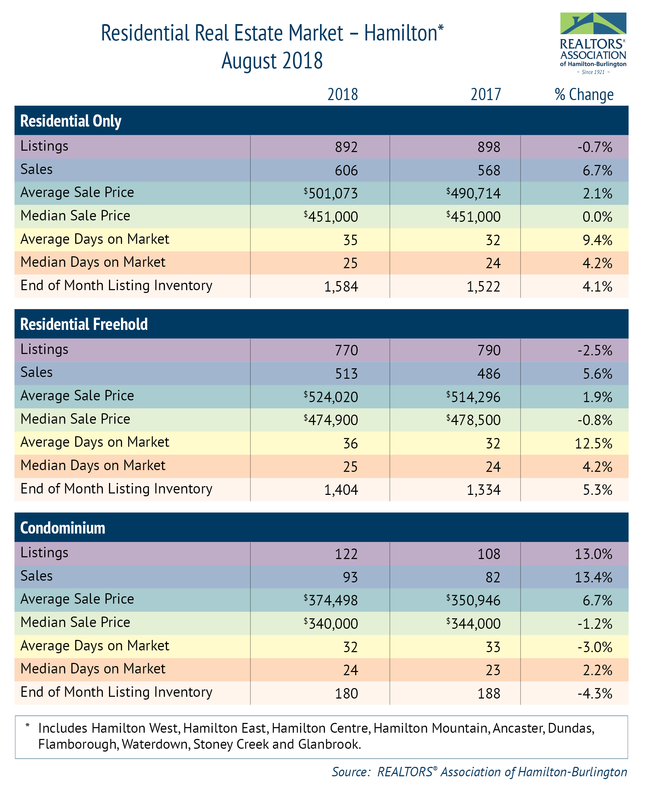 Residential freehold sales were exactly the same as August of last year, while condominium sales were 2.9 per cent higher. New residential listings were three per cent lower than the same month last year, and 4.5 per cent lower than the 10-year average. 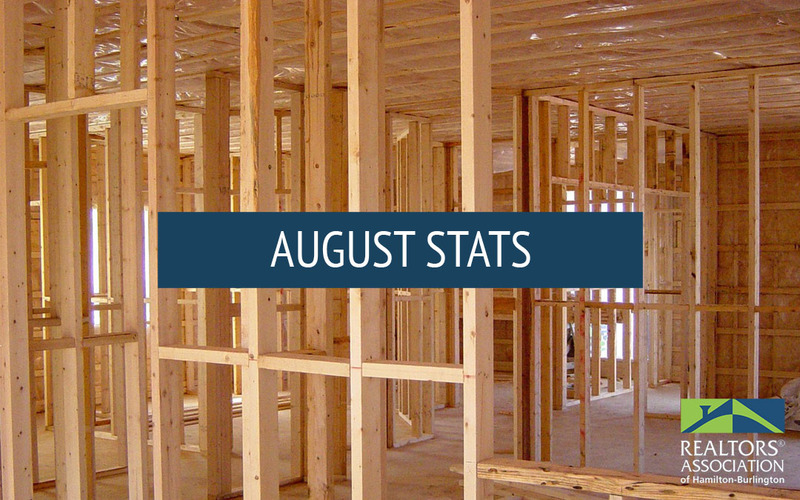 The average residential sale price for August 2018 was 2.4 per cent lower than August of last year. 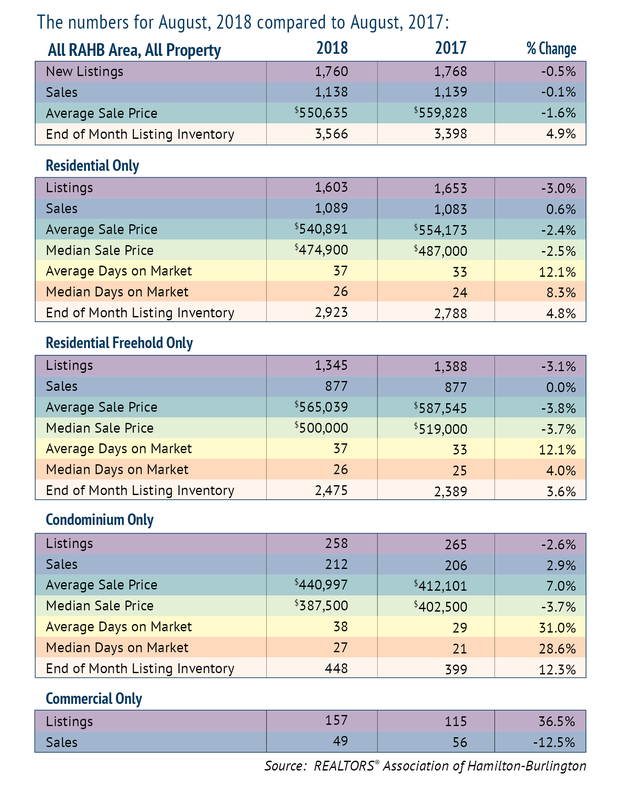 When looking at the year-to-date number of sales and average sale price, the peak of the spring market for residential occurred in May. RAHB expects there to be the usual upswing moving into the fall market. Neighbourhoods throughout the RAHB area experience results that differ from the average of the entire RAHB market area. 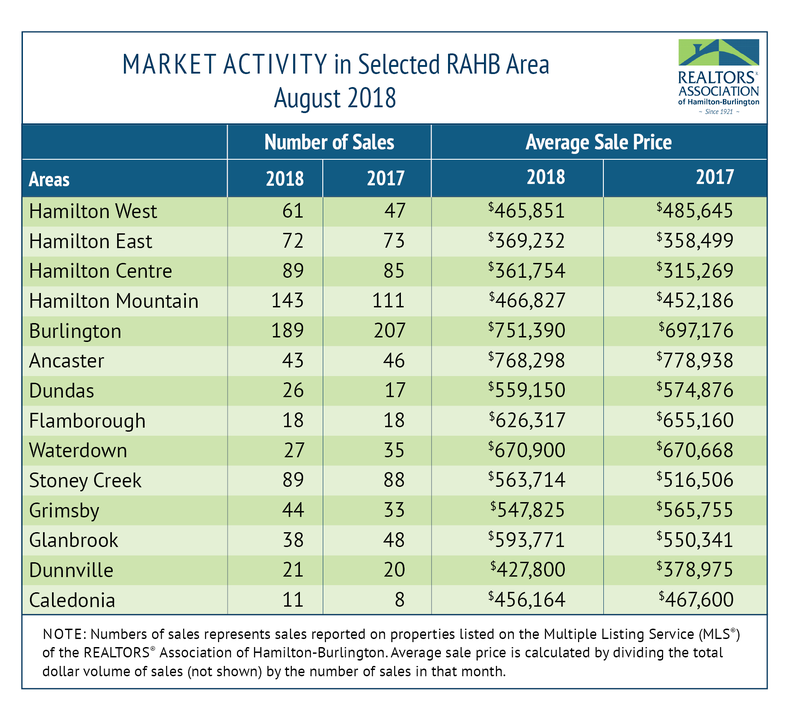 In August, Hamilton Centre, Burlington, Stoney Creek and Dunnville experienced significantly higher increases in residential average sale price than the RAHB average, while Hamilton West and Flamborough experienced slightly greater decreases in average price than the RAHB average. Neighbourhoods vary, so determining the right price when buying or selling a property can be challenging. Local REALTORS® have the experience and tools to help buyers and sellers make those big decisions, so please consult with one. *Average sale price is based on the total dollar volume of all properties sold through the RAHB MLS® System. Average sale price can be useful in establishing long-term trends, but should not be used as an indicator that specific properties have increased or decreased in value.